How far will your goodwill stretch? 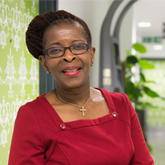 It's time that nursing staff were truly valued, says RCN President Cecilia Anim. Ask 100 nurses why they do their job and you will get 100 different answers: 'to make a difference’, ‘to support my patients’, ‘because I always knew I would’. Ask 1,000 and you still won’t find a nurse who’s in it for the money. Nursing is a career in which putting the concerns of others before your own is second nature. But for too long, this goodwill has been taken advantage of, reflected in the poor pay that you receive. Instead of rewarding your commitment to your patients and profession, the Government has chosen to capitalise on this and make you think that working an extra hour here and there (unpaid) is the norm. Modern nursing is challenging and complex. You are professionals – with years of experience and many of you with hard-earned degrees, practising advanced skills on a daily basis. I, like thousands of other specialist nurses, organise and run a clinic each week for my patients. From the moment they walk through the door, to when they walk out, I am the only health care professional they see. Nurses have the autonomy to prescribe medication, order radiological investigations and even perform minor surgery. The level of skill and responsibility required to do your job has never been greater. High workloads and short staffing mean that you are working harder than ever before. Why, then, does your pay consistently lag behind other graduate professions? Why are 53% of you having to work extra hours just to pay the bills? It’s time to send a clear message to the Government that this cannot continue. The goodwill that brought you into the profession is not limitless, and skills that you use every day deserve recognition.